This paper is an empirical study on the access to work an important factor of social inclusion for people with disability. The focus is on Italy, a country characterized by lower activity rates than other industrialized countries together with the presence of a normative setting that supports the inclusion of disabled people in paid employment though characterized by regional heterogeneity in its implementation. Labour reforms recently increased retirement age in Italy, and aged workers could be more exposed to the risk of facing disabilities limiting participation into paid work. The results of the analyses on Health status and use of health services ISTAT microdata show a lower probability of being employed for people with disabilities and a higher positive effect of education on their employment probability than found for not disabled. The availability of data on the type of disability allows to detect a lower employment probability for psychic disabled. This study examines the relationship between body weight and academic performance, focusing on gender differences and using survey data from students at the University of Salerno in Italy. Our findings indicate a significant negative relationship between body weight and academic performance, particularly for female students. Moreover, examining the relationship between BMI and field of study (i.e., science vs. the humanities), our results indicate that overweight/obese females are less likely than those of average weight to choose scientific studies, and hence, more remunerative careers. The asymmetry of the findings between males and females suggests that during late adolescence physicality plays different roles according to gender. Over recent decades, psychosocial risks like harassment at places of work, depression, anxiety and addictions, have emerged as contemporary challenges for worker’s health and productivity. The aim of this paper is to assess whether the worsening of working conditions due to the crisis resulted in increased work-related stress. Focusing on the Italian context and using data from the Labour Force Survey (ISTAT) from 2007 and 2013, this study analyzes from a gender perspective the presence of health problems like stress, depression and anxiety, among Italian workers and it investigates changes in work-related stress and its main determinants, before and during the crisis. Results show that in spite of the risk of job loss or job reduction stress, depression and anxiety probably become less important, especially for those workers in a weak job position. Yet, although similar patterns, gender differences are found. 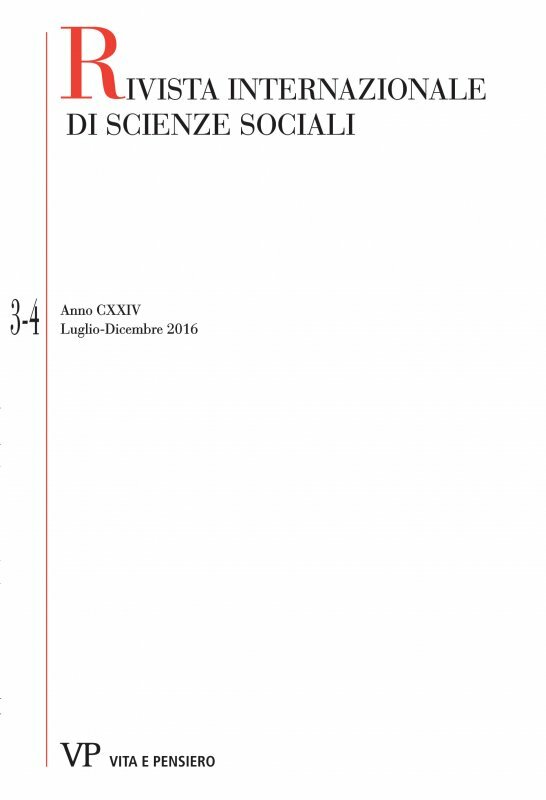 Based on a case study with a strong impact on the citizens of Bologna, the paper presents the implications of progressive changes in the offering of services for the early detection of breast cancer by the public health service, focusing especially on the impact on the safeguard of equity as a principle established by the Italian national healthcare system. Approaching the issue from a user’s point of view, the author suggests integrative tools to safeguard the citizen when accessing the services of the public health system and to actively contribute to improving the system. Hospital financing, in Italy, is governed through Diagnosis Related Groups (DRGs) reimbursement system. National legislation allows Regions to set autonomously their own tariffs; Regions can also decide other aspects of the hospital care, such as the public-private mix, the relationship among health policy authorities and providers, etc. All these arrangements are expected to impact on quality of hospital care. The aim of this study is that of clarifying which factors may affect quality, as measured by the National Program for Outcome Assessment (Programma Nazionale Valutazione Esiti – PNE). A truncated regression model has been applied. The variables used to represent quality, among those ones available within the PNE, include mortality and readmission rates for Acute Myocardial Infarction (AMI), Congestive Heart Failure (CHF), Stroke and Chronic Obstructive Pulmonary Disease (COPD). The results confirm the hypothesis that factors related to demand, supply and the reimbursement scheme may explain quality outcomes. In the years since 2008 has developed a large international literature on the impact of the economic crisis on health. While at the level of the individual exists ample empirical evidence of the negative effects of the crisis on welfare, at the systemic level, the relationship is less clear. The economic crisis, Italy and much of Europe are experiencing, has inevitably affected the budget of the institutions of social protection, with adverse effects on the financial equilibrium of public accounts and consequent inevitable serious difficulties in ensuring the availability of resources for good functioning of the welfare system. This paper focuses on the NHS Italian identifying some potential issues and highlighting possible solutions in order to pursue a new model of sustainability in health expenditure of the State, as stated in Article 32 of our Constitution, must take responsibility. Disease prevention is the most valuable tool to improve the control individuals have over their health. Nevertheless, OECD countries allocate on average 6% of health spending upon prevention activities. In Italy, in 2012, public expenditure on health care in the living and working environment was 0.34% of GDP; health spending devoted to the collective assistance in the same year constituted 4.1% of health spending (4.8 billion euros). At the interregional level, differences are marked: the effects of this heterogeneity are more acute in times of economic crisis, when the spread of unhealthy behaviours are associated more vigorously barriers to access to prevention programs. The objective of this work is to provide evidence on the cost-effectiveness of funded prevention programs in Italy, focusing on vaccination and screening programs, using this evidence to create a predictive tool for the evaluation of allocative efficiency related to the expenditure on prevention in Italy. Health Technology Assessment (HTA) is a multidisciplinary process that collect information about the medical, economic, organizational, social, legal and ethical issues related to the use of a certain health technology in a systematic, transparent, unbiased, manner. Its main purpose is to support health care decision-makers. From the conception of HTA in the 1970s, it has been argued that the ethical domain is a constitutive part of HTA and that value judgments are inherent in the whole process of HTA. Specifically, ethical domain aims at analyzing both the ethical questions that a given technology raises when it is put into use/disinvestment and the ethical issues that the HTA process itself raises. Despite almost 40 years with similar considerations, ethics has not so frequently been part of HTA reports. The paper provides an overview of the ethical domain within the HTA processes and the experience of the Institute of Bioethics and Medical Humanities of the Università Cattolica del Sacro Cuore.